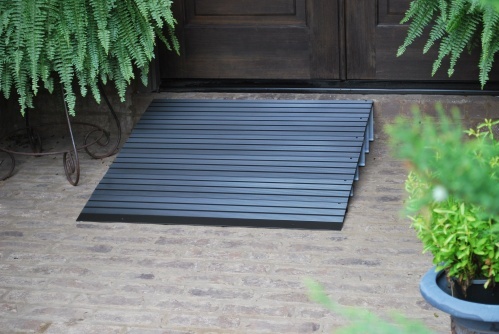 The Hero offers you a threshold ramp with the MOST usable surface space and a safer incline than any ramp in a comparable design. 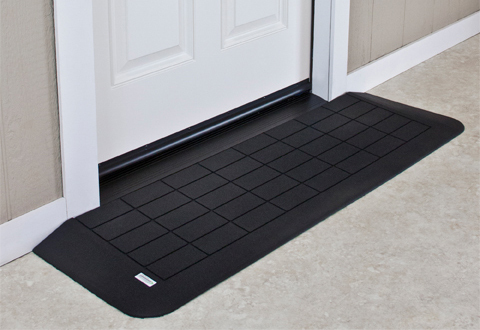 The Hero’s ramp surface on a 6″ rise provides over 25% more under your chair. 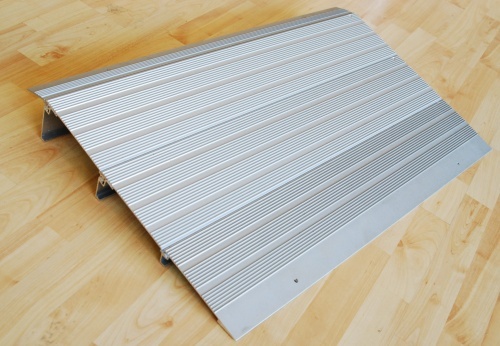 With the combination of an anodized surface and special non-skid technology, the Hero exceeds the NFSI requirement for wet Static Coefficient of Friction on a hard flooring surface. What does this mean? 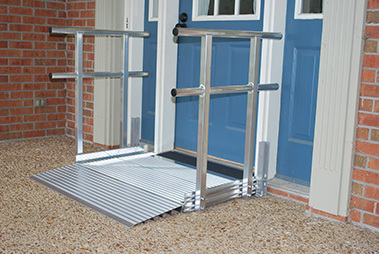 For the end user in the chair, a safer feeling going up and down the ramp. 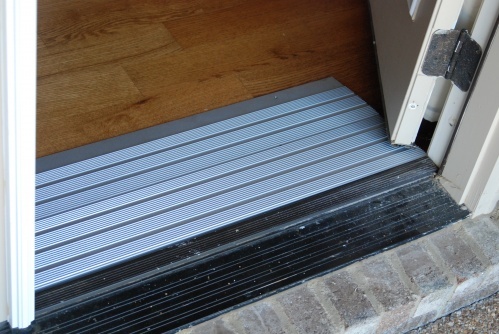 For the person assisting the chair user, less strength required to push the occupied chair up and down the ramp. 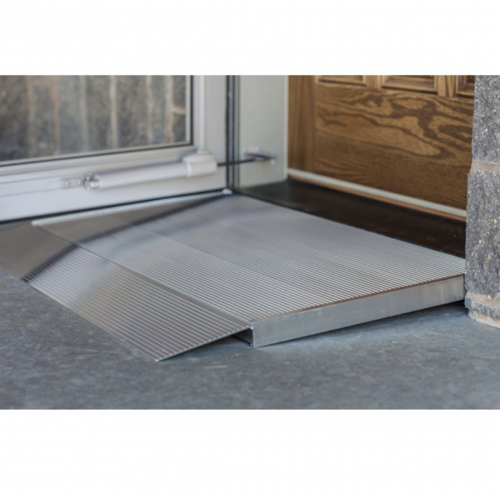 For the Home Lift Pros, peace of mind knowing that we are providing the safest “threshold” ramp offered with the most aggressive non skid surface passing the peace of mind on to our customer. 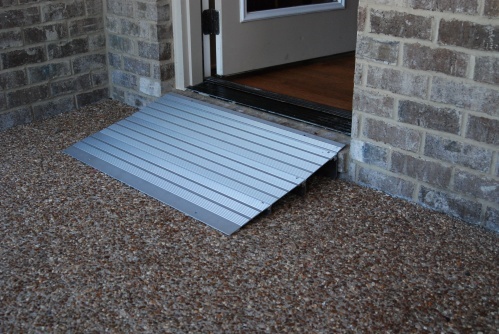 Home Lift Pros also offers an aluminum threshold ramp. 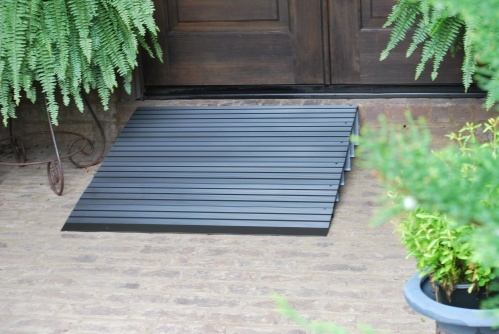 The ramp is ideal for use at doorways and thresholds from 1″ to 4″ in height. 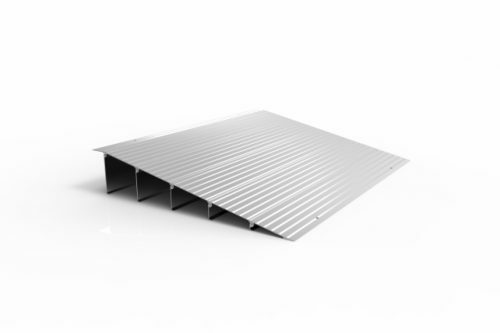 The 2″ top lip seamlessly covers the existing threshold for a smooth transition and adjusts to varying heights. 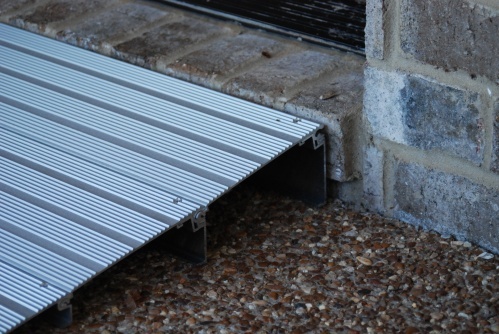 The welded construction and permanent skid resistant surface allow these ramps to be used inside or outside. HERO1 1″ x 8.5″ x 34″ 1″ – 1.5″ 4 lbs. 800 lbs. HERO2 2″ x 14.5″ x 34″ 2″ – 2.5″ 8 lbs. 800 lbs. HERO3 3″ x 20.5″ x 34″ 3″ – 3.5″ 12 lbs. 800 lbs. HERO4 4″ x 26.5″ x 34″ 4″ – 4.5″ 17 lbs. 800 lbs. HERO5 5″ x 32.5″ x 34″ 5″ – 5.5″ 22 lbs. 800 lbs. HERO6 6″ x 38.5″ x 34″ 6″ – 6.5″ 27 lbs. 800 lbs. 1", 2", 3", 4, 5", 6"